As part of the lead up to the 107th NYRR Millrose Games, we will be highlighting a number of student-athletes who have qualified for the New Balance High School Mile. The New Balance High School Mile has long been a staple at the NYRR Millrose Games, with past winners including sub-four minute miler Kyle Merber and 2013 IAAF World Championships qualifier Cory Mcgee. This week's miler is Kennedy Weisner. 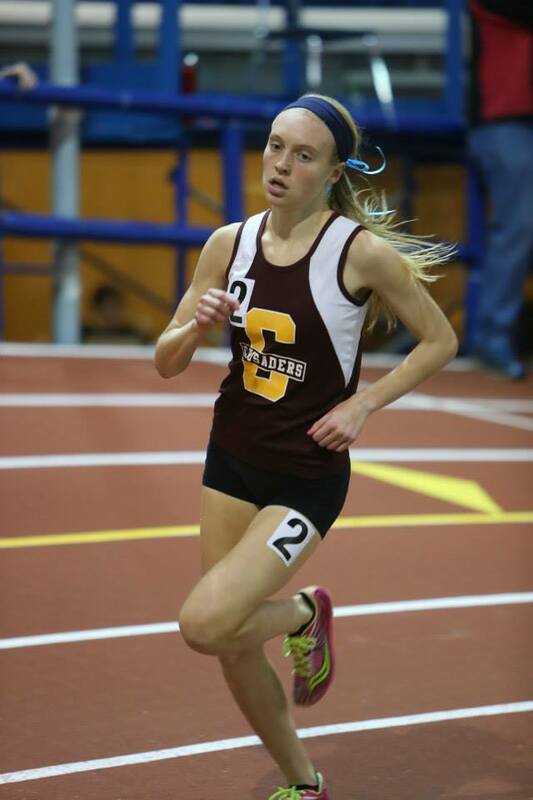 Kennedy Weisner en route to winning the NYRR Millrose Games Trials Invitational Mile. ArmoryTrack.com: What's your greatest running achievement? 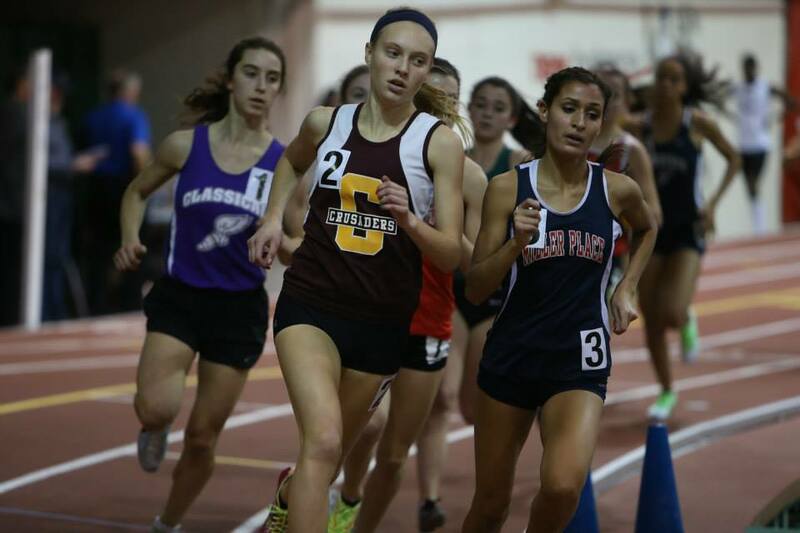 Kennedy Weisner: During my junior year at Foot Locker regionals I was not having a very good race and I was continually dropping back as the race progressed. During the last mile, however, I resolved myself to push through the pain and tiredness and pass as many people as I possibly could. I did not give up and I ended up passing enough people to qualify for nationals! ArmoryTrack.com: What's the best piece of advice someone's ever given you? Kennedy: "The agony of defeat." Don't allow yourself to be defined by individual moments in life, nor allow them to cloud any resolve for your future. In life, efforts won't always equal outcome, so brood only long enough to glean what you need for FUTURE success. ArmoryTrack.com: What are three keys to your running success? Kennedy: My love of running and competing, positivity, and confidence in myself. ArmoryTrack.com: Do you have any pre-race traditions/superstitions? Kennedy: I always paint my nails before a race. ArmoryTrack.com: Who is your favorite athlete? Kennedy: Apolo Ohno. I had a slight obsession with him during the last Winter Olympics. His story is so inspiring, and I think speed skating is a mesmerizing sport. ArmoryTrack.com: If you could go on a run with anyone, past or present, who would it be with? Kennedy: I have admired Wilma Rudolph since I was very young, so I would love to go on a run with her! ArmoryTrack.com: What are your favorite hobbies? Kennedy: I love to read and I also like to bake/cook and play the piano. ArmoryTrack.com: What is your favorite place to run? ArmoryTrack.com: If you could be any animal, what would you be? Kennedy: I would be a gazelle. They are graceful and have an awesome name! Kennedy: I'm not really sure what my favorite movie is, but I absolutely love Christmas movies, but only at Christmas time of course. ArmoryTrack.com: What is your dream job?